Wood pellets are bio-fuel with high density what makes high calorie power (4,7-5,0 kWh/kg) and enormous energy efficiency. Pellets are usually byproduct made by wood handling, wood remains and sawdust, but not chemically treated wood. This compressed mass passes through a mould which has openings with suitable size approximately 6-8mm. 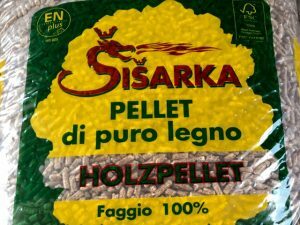 The high pressure of the press causes increasing of the temperature of the wood and by that the lignin contained in the wood melts and creates natural adhesive which maintains the constant shape of the pellets after cooling. 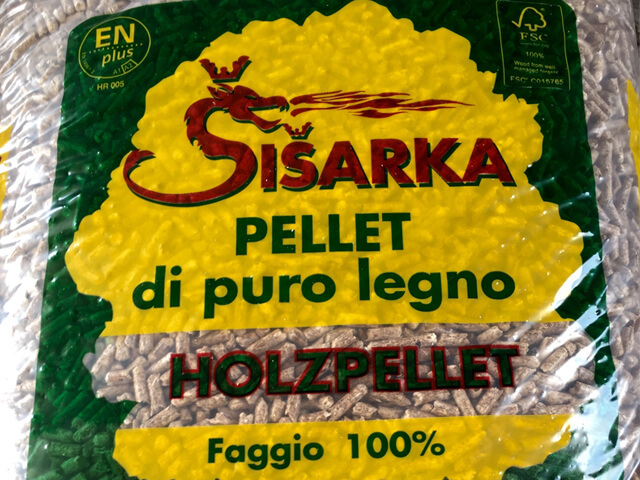 Pellets produced according the current European standards (DIN 51731 or Ö-Norm M-7135) have good structural rigidness, equal density and low moisture content (under 10%) by what rises their fuel efficiency. Their small size and regular geometry (short cylinders with diameter of 6-10mm and length 10-30mm) allow automatic supply of burners and very precise tuning of the automatics of pellet boilers and stoves. We live in the time of high prices of gas and oil which constantly rise, and their supply is insecure, so that renewable energy sources such as pellets reached their prime. Heating with pellets is simply and comfort and will not burden you nor with space, or transport, or method of handling the boiler (stove) and will minimize your heating costs. Pellets are the most clean solid fuel and are CO2 neutral. During their burning, the amount of ash generated is minimal (only 10kg of 1 ton of burned pellets) and there is almost no harmfull gas emissions into the air. 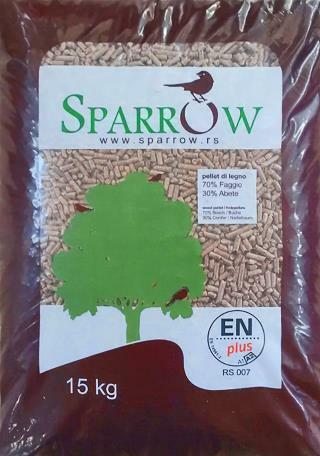 Pellets sold by TEHNO AUTO are A class which means they are produced according to European and world standards, 100% natural with moisture lower than 10%, high caloric power and efficiency. They are packed in hard high quality plastic bags from 15-20kg, very convenient for transport and storage. This winter embrace the warmth of space you live in and secure yourself a more comfort heating of your home or offices with the pellet boilers or stoves from the well known company THERMOFLUX which general representative in Macedonia is TEHNOAUTO.